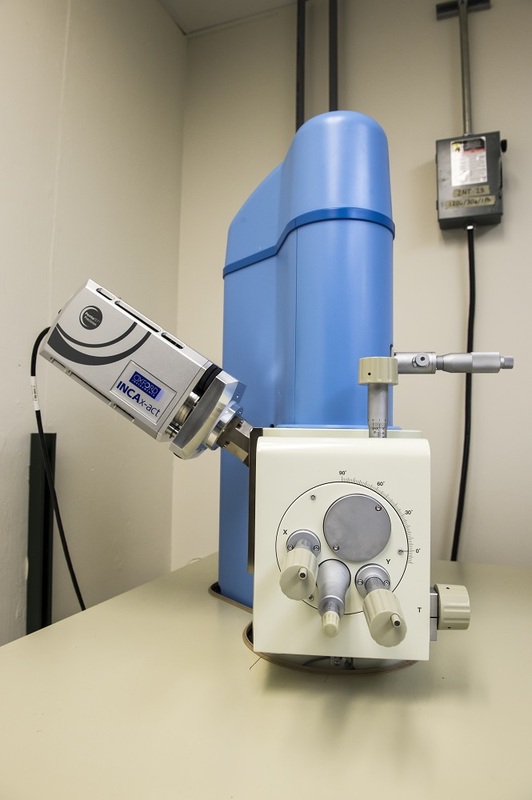 JEOL JSM-6510LV/LGS Scanning Electron Microscope (SEM) with Oxford Aztec - The JSM-6510 is a field-emission electron microscope capable of imaging standard samples in high vacuum mode, as well as non-conductive, wet samples in low vacuum mode. A user-customizable graphic user interface (GUI) has automatic functions, recipes (standard & custom applications settings), multiple live image display, signal mixing, a desktop publisher, and a searchable image database for comfortable operation from observation to report creation. Backscattered electron image detected by multi-element solid-state BSE detector.